Lims1 Emergent is designed to provide Emerging labs access to powerful LIMS system early on. Hence, providing all the necessary tools required for effective lab management. As your operations grow, transition to full Lims1 system is easy and could be done instantaneously. Saving you the hassle normally required to upgrade the systems. Users could be adjusted at anytime. We will accompany you throughout your journey. 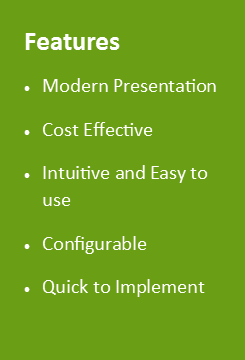 LTech is committed to deliver an easy and flexible LIMS products and services for superior lab management. Lims1 Emergent is specifically designed to fulfil the need of emerging labs with a robust yet cost effective LIMS system. Lims1 Emergent, offered as SaaS, enable laboratories to track and manage their complete samples’ lifecycle. And to provide a platform for an efficient and effective sample management. Data mining & Report — Automatic COAs generation, since data is captured electronically, trend charting is possible. Assist Lab with regulatory and quality compliance (ISO 9000, ISO 17025 etc. 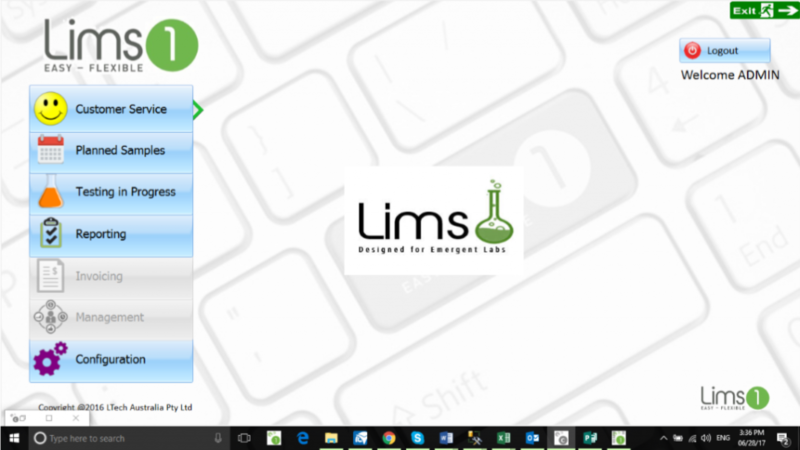 Lims1 Hosted is a fully functional offering of Lims1 that is hosted by LTech. 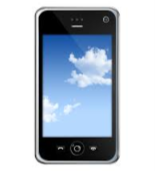 Customers can enjoy all of the functionality without the hassle of IT management and overheads. Benefits include Predicatable Costs, Scalability and Full Supply Chain Support. LTech takes full responsibility for Servers, Databases, Backups and Connections. All that the laboratory requires is a workstation and an internet connection. Lims1 Hosted offers a one stop shop. Support requests and responses are streamlined and rapid. Albury City Council has just completed a rigorous search for a Laboratory Information System. They chose Lims1 for their Waterview Laboratory as it offered ease of use for their staff, flexibility for their operations and great value for money. They join an ever growing group of Council/Water labs using Lims1. Welcome to the family. The Environmental Analysis Laboratory (EAL) is part of Southern Cross University in Lismore, NSW. It operates through the Division of Research supporting academic staff and postgraduate research. EAL employs up to 25 professional analysts. State of the art equipment and modern facilities enables EAL to offer a commercially competitive analytical service. EAL has chosen Lims1 (Lims System) to improve their productivity and customer service. They chose Lims1 because of the functionality it offers, out of the box, together with the ease of use and flexibility. The management and staff at EAL have a strong commitment to quality assurance, providing quality work in the shortest possible time frame, at commercially competitive prices. The Laboratory anticipates huge gains in the areas of instrument interfacing, reporting, quality control and work flow. LTech Australia welcomes them to the Lims1 family. The NSW Department of Primary Industries, Diagnostic and Analytical Services has replaced its existing LIMS with Lims1(Flexible LIMS software system). The role of Diagnostic and Analytical Services (DAS) is to provide quality assured laboratory testing services in the fields of veterinary pathology, analytical chemistry and plant health. Clients of DAS are both internal and external. Internal clients include research projects and animal and plant health surveillance programs. External clients include Commonwealth and State Government agencies, local government, rural producers, veterinary practitioners and the private sector. DAS is also responsible for implementing and maintaining quality management systems and associated certification/accreditation of the department’s laboratories and equipment maintenance in research laboratories. Lims1 has allowed the staff an easy and flexible system of monitoring and tracking workflow through the laboratory, and generating reports at the click of a button without the need of a programmer. LTech are pleased to announce that NSW Department of Primary Industries have chosen to replace their existing LIMS with Lims1. NSW Office of Water in the Department of Primary Industries is responsible for the management of the states surface and groundwater resources. NSW Office of Water reports to the NSW Government for Water Policy and the administration of key water management legislation, including the Water Management Act 2000 and Water Act 1912. NSW Office of Water were looking at a system with capabilities of handling large volumes of client requests, an easy and flexible system to monitor work status and data mining capabilities. Lims1 has allowed NSW Office of Water to have greater efficiencies in the laboratory without the need of a programmer. The staff at NSW Office of Water have the capability to monitor the quantity and quality of the laboratories data in accordance to policies and legislations. Niche Food Microbiology relocated their growing business from the TAFE premises to Moorooka, Queensland. The laboratories focus is on analytical and consulting services in food microbiology. With a team of highly qualified microbiologists, Niche Food Microbiology are continuing to grow their business. Dedication to quality results and a high level of focus towards customer service, Niche Food Microbiology required a LIMS that will allow the laboratory to grow. The ease and flexibility of data entry and report generations of Lims1 allowed Niche Food Microbiology to focus on the quality work carried out in the laboratory. Analytica Laboratories combine the experience and talent of New Zealand’s most experienced analytical chemists and commercial laboratory managers. The laboratories testing services range from targeted, known chemical parameters to discovery-based compound identification and are able to test a wide variety of matrices from pharmaceutical and agrichemical ingredients, to microbial organisms, plants and animals. Analytica Laboratories, required a system that was capable of providing a range of internal and external customer reports, Quality Control Tracking, as well as allowing the flexibility to their clients of accessing their results and reports on demand. We are pleased to announce that Ausgrid has chosen to implement Lims1 in their Chatswood Laboratory. The NATA accredited laboratory, offers a broad range of measurements, indicating their ability to offer the highest level of professional and technical standards. Ausgrid required an easy and flexible system with minimal disruption to staffs current practices, capabilities of monitoring historical results of the transformer oils over time, and a system that will allow staff to have better traceability of results. Lims1 has allowed the staff to have greater efficiencies in their workflow practices, enabling faster turnarounds for both their internal and external customers. TropWATER’s Water Quality Laboratory, providing water quality assessment services for James Cook University’s research goes live with Lims1. The laboratories focus is on analytical research of water, wastewaters, sediments, biological tissue samples and the expertise of discharge license compliance monitoring. TropWATER required a LIMS organisation that could offer a long term relationship. With results exported from the laboratories instrumentation directly into the Lims1 database, and the ease and the ease and flexibility of historical result searches will now allow TropWATER to see an increase in efficiencies in their Laboratory.